It’s raised, its accessible, and the new restroom built at Underwood Park is set to serve the needs of the local sporting community. All year around, Underwood Park south of Brisbane is a hive of activity. It is the sporting hub for the region, including fields for three codes of football, cricket, netball courts and a BMX track. Seldom a weekend passes without crowds gathering. The new impressive all-steel raised restroom, designed and built by Landmark in a central location to all the sporting clubs and venues, has increased the number of public toilet cubicles in the area from four to 10 (one aging facility was demolished). To compliment the modified Carnarvon restroom, Landmark also designed and installed an 8.5 metre timber (Timaru) access ramp. Two sets of steps at either end of the 1.6m wide verandah at the front, together with the standard ramp (which comes with all Landmark raised restrooms) give park patrons access to the facility from four directions. 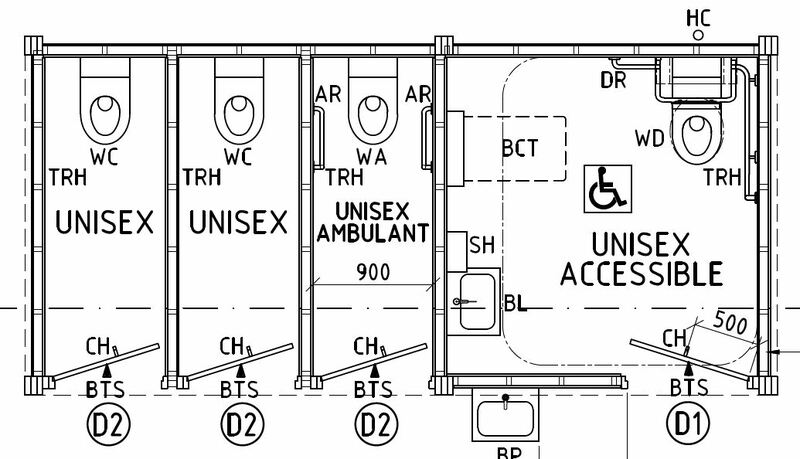 The skillion roof facility features eight toilet cubicles in total, including six standard unisex, one unisex ambulant and a unisex accessible with a baby change table. Hot-dipped galvanised steel balustrade panels span the front of the verandah and host two hand-wash basins, with plumbing protected by Colorbond® shrouds. 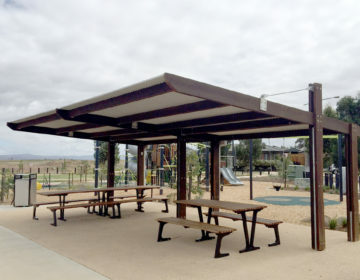 With the skillion roof including opaque polycarbonate sheets, the facility enjoys natural lighting and natural airflow. Landmark Installations project managed the building of the facility from start to finish, delivering a facility that seamlessly fits on the gently sloping location.